Setting up single sign-on and user provisioning through Okta. 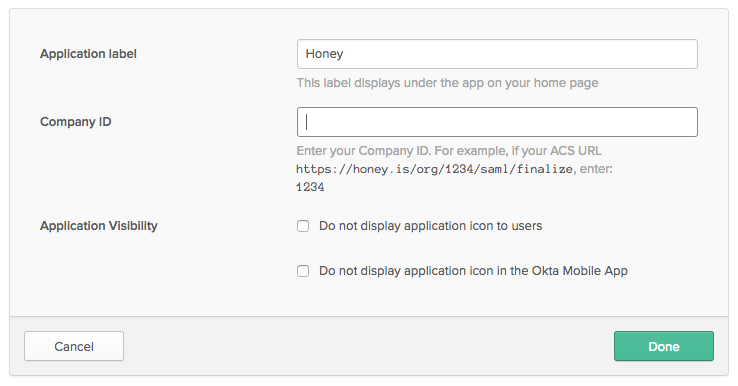 How to use SAML and SCIM with the official Honey app for Okta. 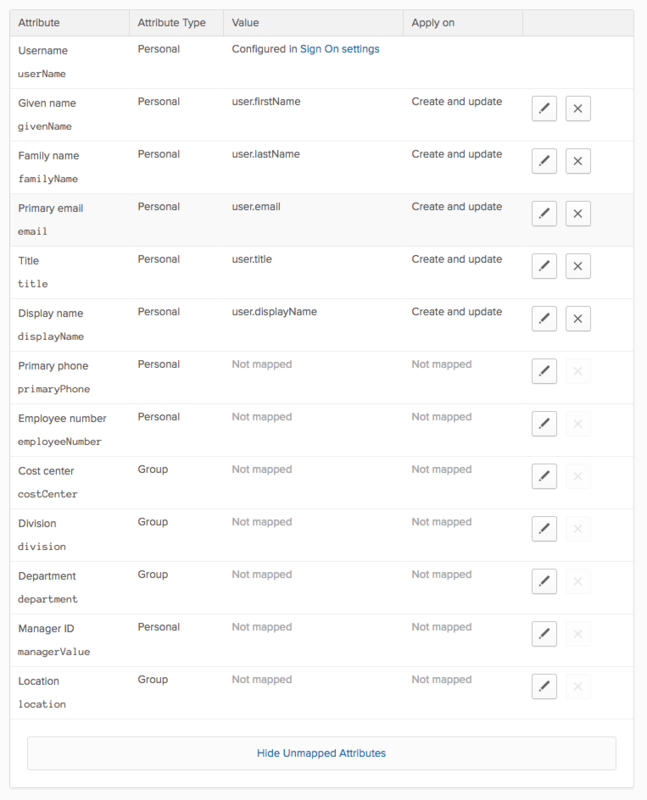 This article explains the steps needed to implement SSO and/or User Provisioning through Okta. Add the Okta application for Honey. Log into Okta. Go to Admin > Applications. Search for "Honey" and click Add. Enter your Organization ID. You’ll find your organization id in your Honey account at Account and Admin > Single Sign-On (see below), then click Done. From Okta, click the Sign On tab and then click on View Setup Instructions. 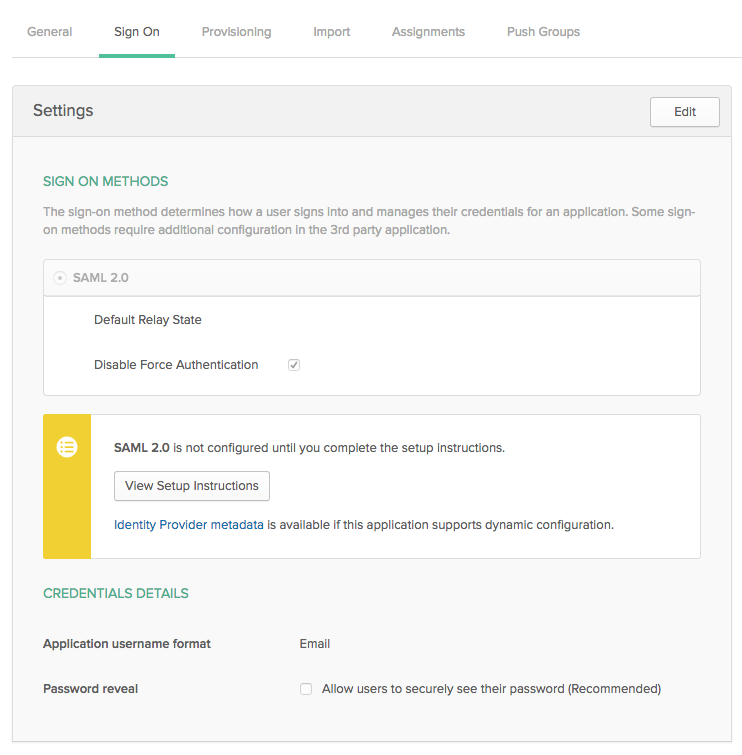 Follow the listed instructions including filling out your Remote Login URL, Certificate in Honey and enabling SAML for your organization. Sign into Honey as an Organization administrator and go to your organization's Admin section by choosing Admin from the Account Menu. Click Single Sign-On from the submenu. If not already enabled, click Enable SCIM. Make a note of your SCIM Bearer Token, you will need to enter this into the API Token field in Okta. From the Honey application in Okta, click on the Provisioning tab. Click Configure API Integration, and then check the Enable API Integration checkbox. An API Token field will appear. Enter your SCIM Bearer Token from Honey (above), then click Save. Once you have tested the token and saved your settings, you will be able to enable and use Okta to create users, update user attributes (profiles) and deactivate users automatically. Honey requires you send email address and name information for your users, but we offer synchronization with many more attributes. How do I force users to use SSO to login? You can easily force users to login using SSO by adding a whitelisted/trusted domain in Honey. 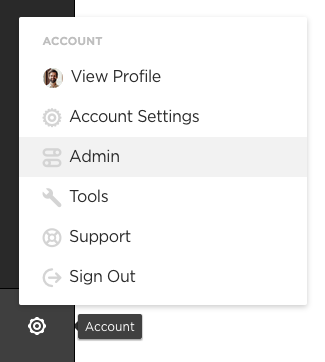 To do this go to your organization's Admin section by choosing Admin from the Account Menu. Click Domains from the submenu. Under Add a Company Domain, enter a valid email address. You will receive then receive a verification email to enable the domain. Finally, from the Domains page, click the lock icon next to the domain, and choose Require SAML.